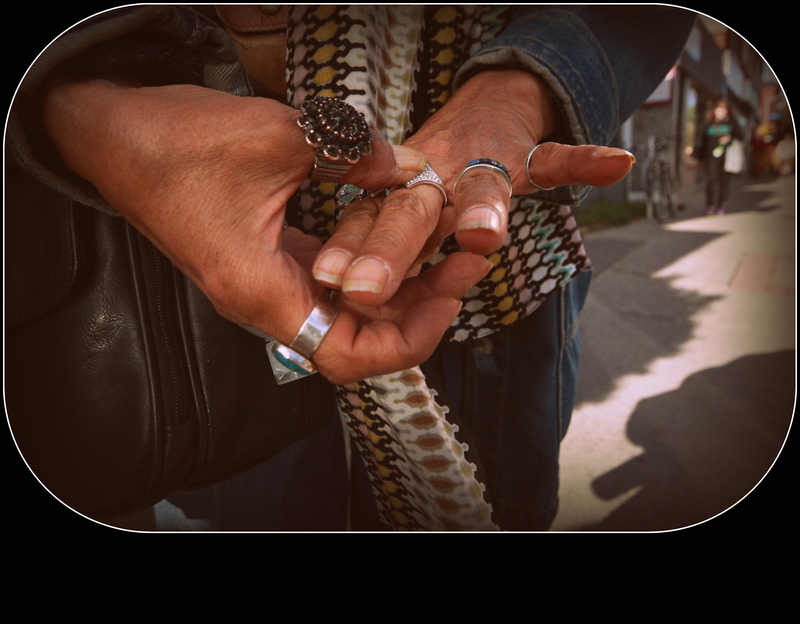 Jeannie’s hands, adorned with an assortment of colourful rings, are symbolic of her life in Ottawa that differs from her past. Jeannie has such a warm, welcoming smile and a gentle, loving soul. You just can’t help being drawn to her when you meet her. She also does amazing beadwork, a very talented lady indeed! I love Jeannie..she’s such an inspirational winner!